This summer, after a series of already-inopportune events, my life took a turn. I had just returned from a trip to Asia, which was the highlight of year. For once, nothing went wrong, everyone got along and I laughed and smiled everyday for the first time this year. 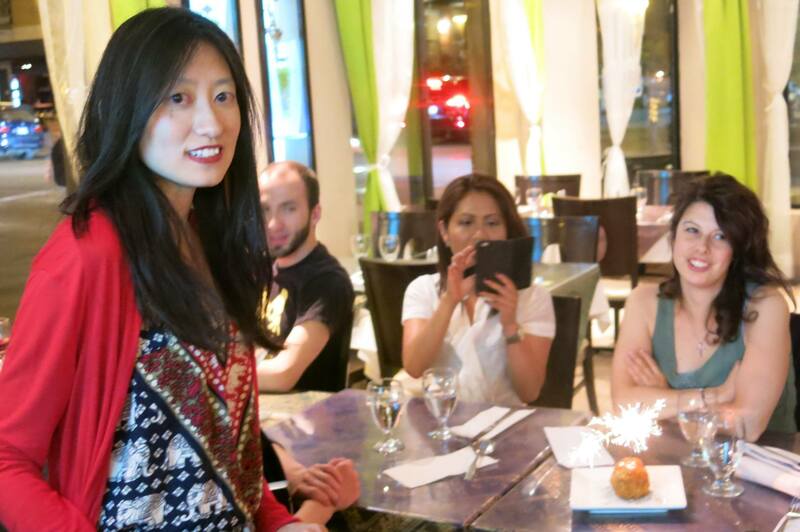 A week after returning to Montreal, I was in a good enough mood to celebrate my birthday. I got some friends together and the plan was to have “escape room” adventure, followed by dinner, and ending the evening by dancing the night away. Towards the end of dinner, my friends got me a birthday dessert and sang happy birthday. I cheered everyone on, then sat down at the other table to be able to chat with those whom I haven’t had a chance to talk to much that evening. Then, I started to not hear very well. I heard my ears crack and suddenly everything sounded like it was coming from a broken speaker. I also got sick and could not even go to the part of the evening I was looking forward to most. I thought it was a case of food poisoning. The next morning, I couldn’t hear almost anything. I slammed the cupboard door and didn’t hear anything. I turned the radio up to max volume; not much. I panicked and went to the doctor. He told me my ear was blocked because of an ear infection, which is why I got sick the night before. I was to take antibiotics until it cleared up. The infection cleared up, but I still couldn’t hear. One doctor’s appointment and a hearing test later, I found out that one of my biggest fears had come true – I had a sudden hearing loss, in the only ear I could hear in. I was diagnosed with Severe Sensorineural Hearing Loss, otherwise known as sudden deafness. When sudden deafness occurs, it means that there is a problem with the inner ear, and it’s considered a medical emergency that has to be treated as soon as possible and within two weeks. I was given strong cortisone medication right away, as well as a steroid injection directly into my inner ear. I was to wait a week to see if it brought back any of the hearing. The following week, I went in for another hearing test, and this time, the results were better than the last one. But it wasn’t enough; I wasn’t hearing things clearly, and my hearing would go down whenever it was exposed to sound. The doctor suspected that is because there might be a crack in a part of my inner ear, which causes it to leak. So, he then proposed another one of my biggest fears: surgery, right then and there, to patch up that part. I always used to sit out on certain social nights because I knew they would involve watching episodes “ER” or “Grey’s Anatomy.” In biology class, I always volunteered to do the all-night paperwork as long as everyone else handled the dissections. I hate anything to do with medical stuff, so you can imagine how freaked I was when I found out they were going to operate me immediately. Thankfully, it didn’t take long, and I didn’t really feel anything. My dad stayed with me the whole time, which made me feel better. I could not hear anything for two weeks. I moved in with my parents, and had no choice to learn to lipread. Two weeks after the surgery I started to hear more sounds. I got really excited, and exposed myself to more sound by wearing a hearing aid. The sound was much better than before. However, my ear didn’t like that. After a few hours, I felt my hearing declining, so I removed the hearing aid. The next day, I could not hear anything at all. I have never panicked so much in my life. I made my dad call the doctors and hearing specialist at home, on a weekend to ensure this wasn’t a medical emergency. It wasn’t. The only thing I could do was wait it out. No one knows why that happened. The hearing returned gradually, but not to level it was before. Hearing tests show I can hear loud and sharp sounds, but I am unable to recognize speech from a distance. The only solution now is to get a cochlear implant – an electronic device surgically implanted directly into the inner ear. This surgery is not performed here in Montreal. I’ll have to go to Quebec City for it. That’s a three hour drive from here. Moreover, there are many steps that must be completed before, some of which involve travelling to QC. I’m freaked as hell, impatient, and really bored. I’m holding on to every bit of hearing that I have. Sometimes, I play my phone ringtone loudly next to my ear just so I can hear something! There’s nothing I can do but go through this long procedure – I invite you all to follow along; you might learn a few things. Hi! I suffered with Sudden Sensorineural Hearing Loss in Feb 2014 and I can completely relate to your experience & feelings, it’s a very scary time. I had surgery for a CI in Dec 2014 and was “activated” in jan 2015 and it has completely changed my life. It has restored me to the person I was before and has given me such confidence – you won’t regret it!! Hi Laura! Thanks for reading and for the assurance! It was so scary and makes me feel better to know that it happens to a lot of people! I definitely don’t regret getting the CI. Been activated for two months now, and I’m pretty much back to normal. Great blog btw, I will be reading it. Cheers!